The Healthcare Businesswomen’s Association (HBA) offers experiential leadership and professional development opportunities for members at all career levels. The HBA’s inviting and supportive environment provides you with a safe place to learn, contribute and grow. Volunteers are integral to the Healthcare Businesswomen's Association's success. Our goal with our new volunteer management system is to capture all of our volunteer opportunities and establish a simple process for engaging volunteers. After years of research, development and hard work, HBA is finally at the cusp of its final transition into our new organizational model. 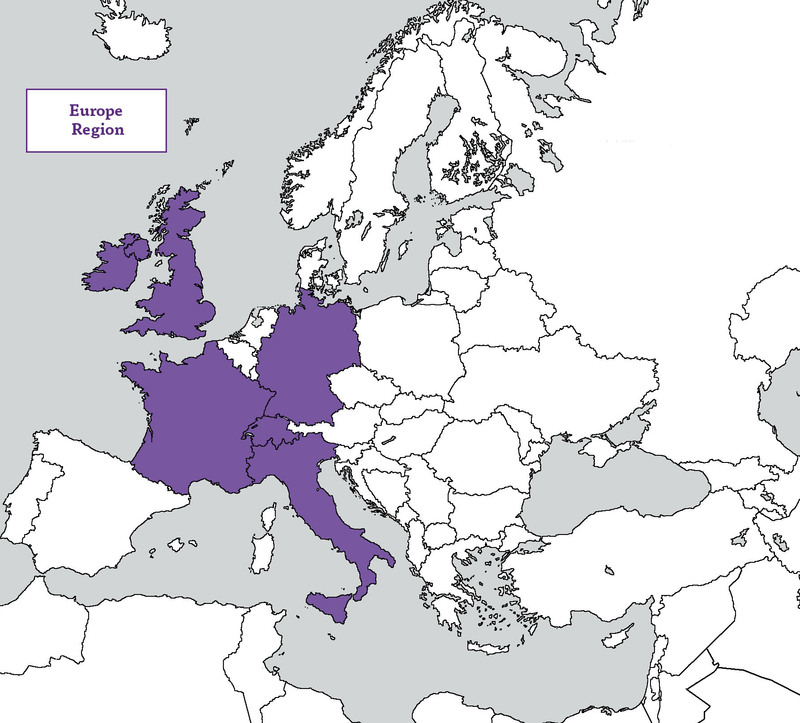 We are currently in the process of migrating the HBA Europe Region, and all of our US chapters will have been fully migrated into eight new regions, overseeing the strategic operations of multiple chapters, which is opening up new levels of leadership opportunities across the country. Click here to see the full list of open leadership opportunities. 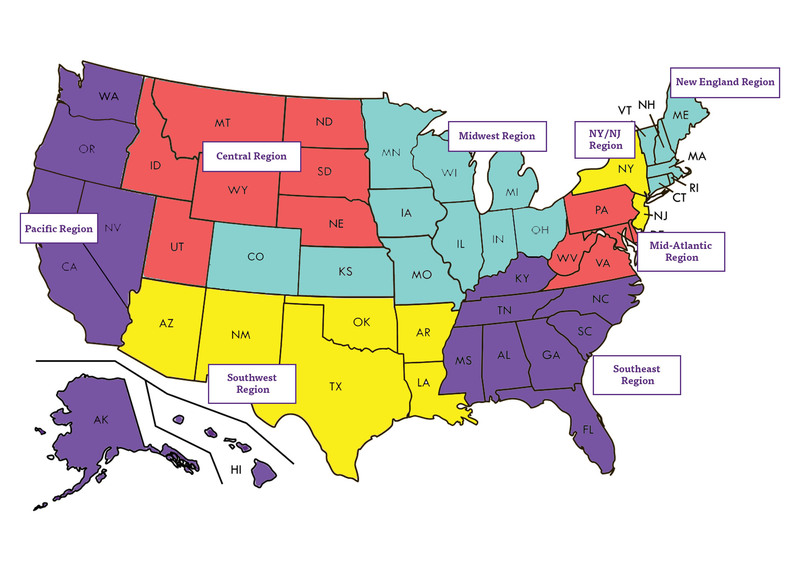 For reference, please see the map below of the regional structure for the United States. Note: you do not need to reside within a region to volunteer there, as these leadership positions are largely virtual. Being part of the HBA volunteer pool means that you are interested in learning about future volunteer opportunities available through HBA Community. When you're opted into the pool, you will receive email alerts as soon as a new opportunity opens up that matches your qualifications and interests. Opting in is easy - with one click, you are added to the HBA's pool of volunteers. This means that when new opportunities come up, you'll be the first to learn about them. Once opted in, you can of course suspend your opt-in request at any time. Just set the Invite me to volunteer when opportunities match my expertise? toggle from 'Yes to 'No' on your volunteer profile to no longer receive invitations. Check out and consider volunteering for the opportunities now open. The full listing of volunteer posting is available through the volunteer opportunities list. We hope you find the system simple and easy to use. Happy volunteering.